Shutter speed, aperture and ISO are the main three things you will have to feel if you use your DSLR camera in Manual mode. These three things are closely related to each other, we can say that they are three pillars upon which the digital photography is based. This article is about the first pillar : shutter speed. So far, everything is intuitive here. To get a photo you need to exposure your camera to light. The amount of time during which the light strikes the matrix of your camera is shutter speed. The measurement unit is seconds. Or, most often, fractions of a second. You can imagine light as a stream; the longer the exposure, the greater the “quantity” of light that hits the sensor. 1/8000, 1/4000, 1/2000, 1/1000,1/500, 1/250, 1/125, 1/60, 1/30, 1/15, 1/8, 1/4, 1/2, 1, 2. The confusion comes with the fractions of a second. Let’s say the value of 1/500 second is less than the value of 1/60 second. Don’t be confused, just give it a try. 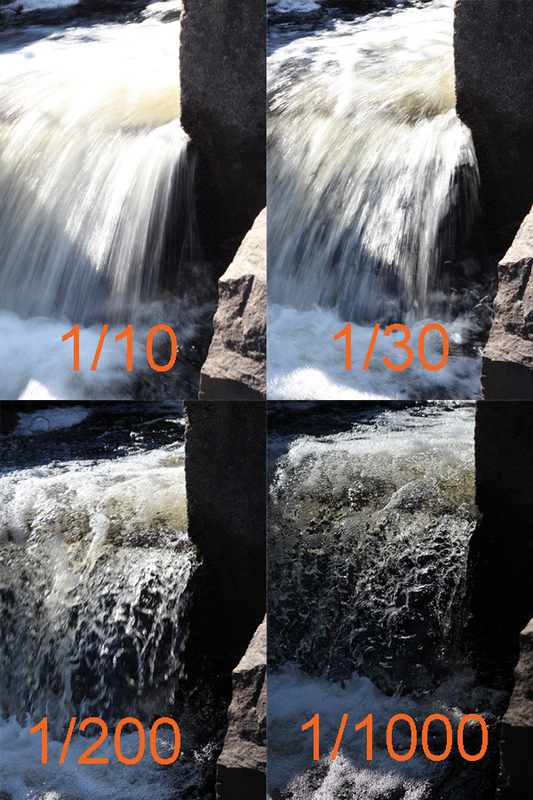 Take a set of pictures with different shutter speed values. This is one of the first exercise we do with the students who are taking our photography course for beginners. 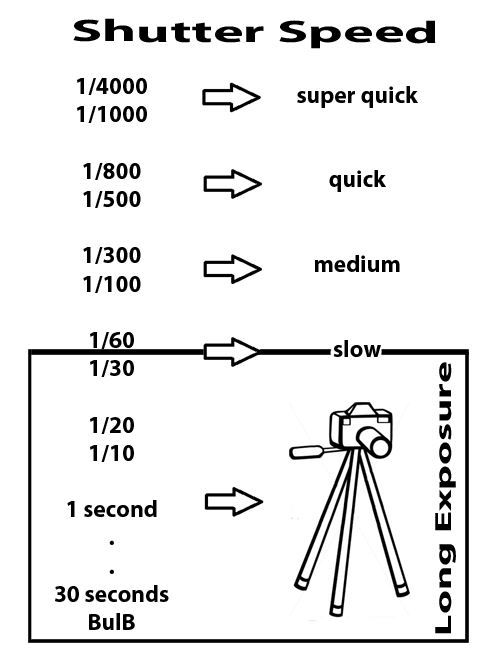 The main effect of shutter speed value is the brightness of the image. This is straightforward: the longer the shutter is open the more light is getting into the camera and the sensor is recording is constantly. If we decrease the shutter speed, less light will get to the sensor and the image will be darker. 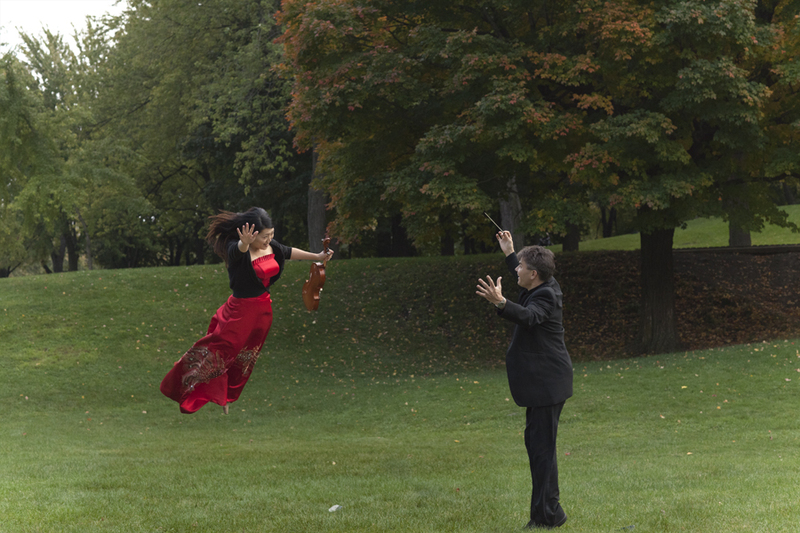 The side effect of using different shutter speed is known as a motion blur. I will illustrate this factor using a set of similar images of a waterfall. If I set my shutter speed to, let’s say, 1 second, the camera will be recording a moving water during 1 second. All the water will be completely blurry. But if I set it way down to 1/1000 of a sec it will be so quick that it will freeze every single drop of water. Workshop "The girl with a saxophone"